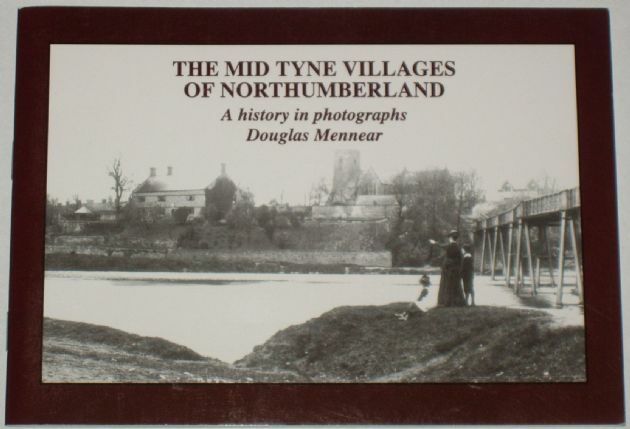 From the rear side cover: This book is a history in photographs of Ovingham, Ovington, Stocksfield, Mickley, Eltringham, and Low Prudhoe. Douglas Mennear (the author) has found the search for pictures for inclusion in this, his first book, to be a fascinating exercise. People, he noticed, very often did not realise the great interest and historical value of their photographs. Responding to Douglas's pleas for material, one village resident proffered two rare glass photographic plates which had been stored in a drawer wrapped inside a woolly jumper. Elated at such a find Douglas could not resist including one of the plates - a view of the pipe works at Eltringham - in the book. The 45 photographs in this volume date back to the 1860s and reveal the great changes which have taken place in this area since the growth and decline of coalmining. This is reflected in the growth of Prudhoe and nearby villages, by the near total decline of Mickley Junction and Eltringham and the transformation of Mickley Square, and Low Prudhoe. Other industries have also come and gone including milling, brick and pipe making. Initially the railway had a great impact on the area but over the years this too has seen a decline in use. Douglas has spent all his life in the North East, living in Newcastle before the War, then evacuated to Glanton, near Wooler, and return­ing to Tyneside. Moving back into the country he first lived right by Hadrian's Wall, then for the last thirty years in Ovingham. His career has been in town and (largely) country planning - with Northumberland County Council and latterly as Deputy Director of Planning for Tynedale District Council. While his career essentially involved looking to the future, his private interests are based on the past and looking back - hence this vol­ume. It is based on his own collection of early postcards, which has been built up since 1947, supplemented by the postcards, private pho­tographs and oral reminiscences of many people in the surrounding villages. There are many vestiges of the past still to be seen - and hopefully this book will raise some interest in people to search them out, and to understand better these Mid Tyne Villages.